Lela & Ollie plaques have a fresh modern look. Plaque features full color printing and a durable vinyl edge. Plaque is made of MDF wood and is easel backed and metal hook for hanging. 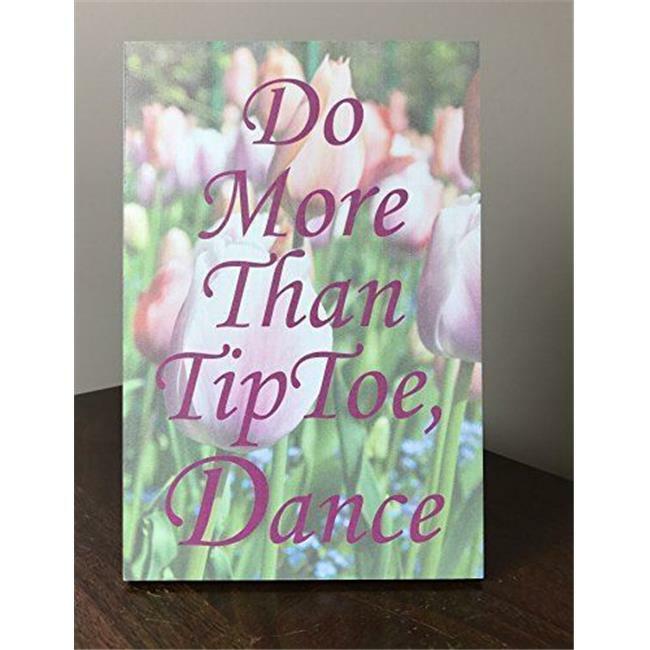 Do more than tip toe, dance. At Lela and Ollie, we are all about family, traditions, having fun and inspiring others to enjoy life. Our designs are created through our love of family, travel and beautiful things we see in our everyday life. We hope they encourage you to live life to the fullest, discover the joys of traditions and celebrate your family.